Having attended Baselworld a couple times, I had the opportunity to meet a lot of watchmanufactures, many of them with worldrenowned names, and some that are only known to few people and special collectors. The latter ones are producing only a few watches per year, some less than 1000 pieces, others less than 100 pieces. One of these small yet excellent manufactures is MB and F, or MB&F, which stands for Max Büsser and friends, former Managing director at Harry Winston, and now the brain and mind behind MB&F, as he invites other masterwatchmakers to contribute or collaborate with him on the development of new timepieces. The Thunderbolt stands out with absolutly unique design, inspired from flight looking like a rocket ship. I don’t want to imagine how challenging it must have been to design a movement that runs the time and powerreserve indication. 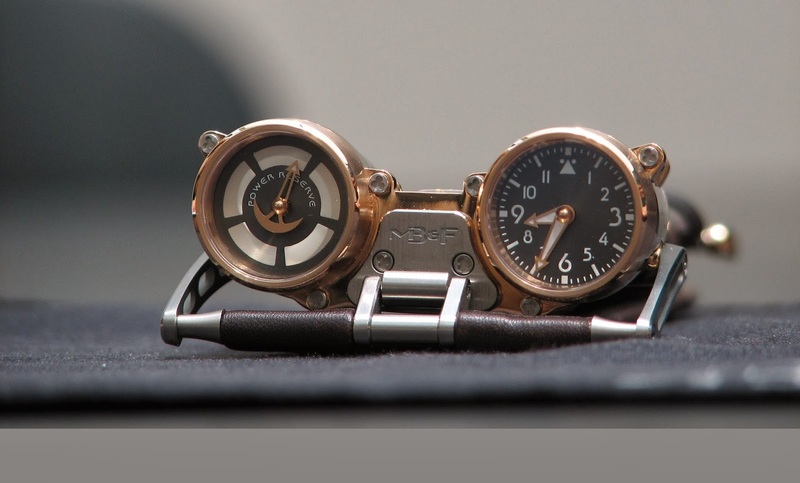 I have not seen any other watchmaker who has come up with such extraordinary and unique designs as MB&F does. They have a Gallery in Geneva called MAD.